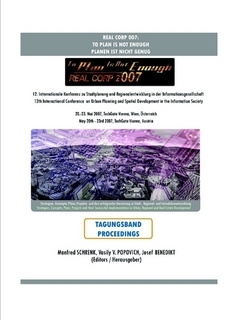 REAL CORP proceedings are available on CD-ROM, and since 2006 also in a printed version (paperback, print on demand, ISSN 2521-392X). Please order this CD via our website's contact form. Schrenk, M.; Popovich, V. V.; Zeile, P.; Elisei, P.; Beyer, C.; Ryser, J. (Eds. ): IS THIS THE REAL WORLD? 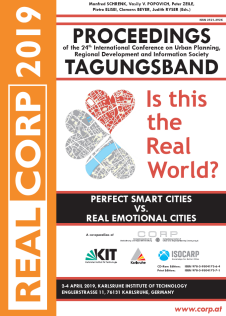 Perfect Smart Cities vs. Real Emotional Cities. 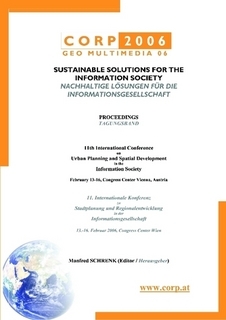 Proceedings of REAL CORP 2019, 24th International Conference on Urban Development, Regional Planning and Information Society. Vienna, 2019. Schrenk, M.; Popovich, V. V.; Zeile, P.; Elisei, P.; Beyer, C.; Navratil, G. (Eds. ): Panta Rhei – a World in Constant Motion. 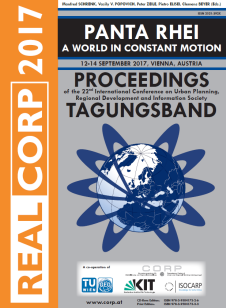 Proceedings of REAL CORP 2017, 22nd International Conference on Urban Development, Regional Planning and Information Society. Vienna, 2017. Schrenk, M.; Popovich, V. V.; Zeile, P.; Elisei, P., Beyer, C. (Eds. ): SMART ME UP! How to become and how to stay a Smart City, and does this improve quality of life? 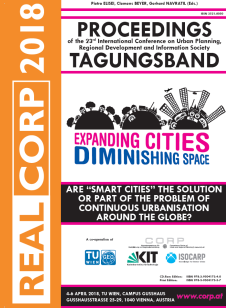 Proceedings of REAL CORP 2016, 21st International Conference on Urban Development, Regional Planning and Information Society. Vienna, 2016. Schrenk, M.; Popovich, V. V.; Zeile, P.; Elisei, P., Beyer, C. (Eds. ): Plan Together – Right Now – Overall. From Vision to Reality for Vibrant Cities and Regions. 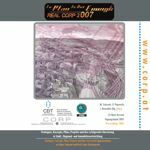 Proceedings of REAL CORP 2015, 20th International Conference on Urban Development, Regional Planning and Information Society. Vienna, 2015. Schrenk, M.; Popovich, V. V.; Zeile, P.; Elisei, P. (Eds. ): Plan it Smart! Clever Solutions for Smart Cities. 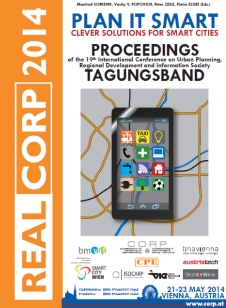 Proceedings of REAL CORP 2014, 19th International Conference on Urban Development, Regional Planning and Information Society. Vienna, 2014. Schrenk, M.; Popovich, V. V.; Zeile, P.; Elisei, P. (Eds. 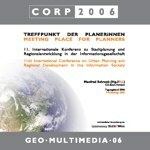 ): Planning Times – You better keep planning or you get in deep water, for the cities they are a-changin'... 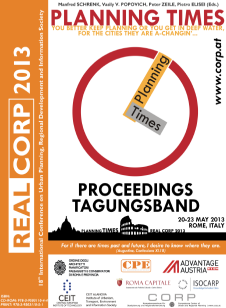 Proceedings of REAL CORP 2013, 18th International Conference on Urban Development, Regional Planning and Information Society. Schwechat, 2013. Schrenk, M.; Popovich, V. V.; Zeile, P.; Elisei, P. (Eds. 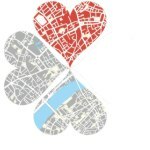 ): Re-Mixing the City – Towards Sustainability and Resilience? 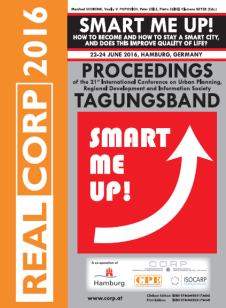 Proceedings of REAL CORP 2012, 17th International Conference on Urban Development, Regional Planning and Information Society. Schwechat, 2012. Schrenk, M.; Popovich, V. V.; Zeile, P. (Eds. ): Change for Stability – Lifecycles of Cities and Regions. 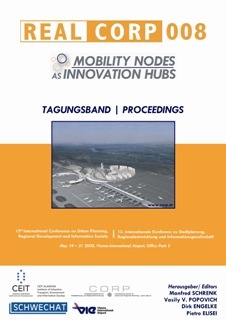 The role and possibilities of foresighted planning in transformation processes. 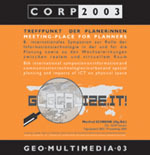 Proceedings of REAL CORP 2011, 16th International Conference on Urban Development, Regional Planning and Information Society. Schwechat, 2011. Schrenk, M.; Popovich, V. V.; Zeile, P. (Eds. ): Cities for Everyone – Liveable, Healthy, Prosperous. Promising Vision or Unrealistic Fantasy? 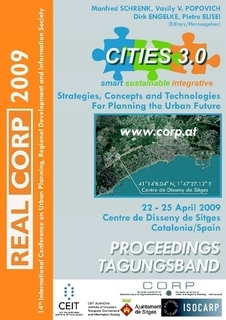 Proceedings of REAL CORP 2010, 15th International Conference on Urban Development, Regional Planning and Information Society. Schwechat, 2010.